What’s a Zero-Based Budget? and Do you need one? Zero-Based budgeting, often called the ‘envelope system’, has been popularised by Personal Finance experts like Dave Ramsey. But is it effective for helping people keep control of their money and build wealth? The answer is definitely yes. But in today’s cash-less society, keeping envelopes is not very user-friendly. It’s also unnecessary as long as you’re using a good software system that can help you apportion your income to expenses in the same way that an envelope system would. The benefit of a Zero-Based budget is that it prevents over-spending, while also helping you pay down debt, create an emergency fund and build wealth. It doesn’t matter your financial position, whether you’re thousands, or hundred of thousands, in debt, or completely debt free, you need to ALWAYS be on a good budget or Spending plan. If you aren’t it’s just too easy to spend money you don’t have! What actually is a Zero-Based Budget? If your income minus your expenses equals zero then you have a zero-based budget. Many people I work with start out with a minus zero based budget (ie. they’re spending more than they earn) so we work together to make sure their spending is less than their income, leaving enough room in their spending plan to pay off their debts and/or start saving for emergencies and future wealth creation. A Zero-Based budget factors in all your top priority expenses, predictable and unpredictable expenses, debt repayment, saving for emergencies and for your future, and giving, leaving nothing left over. An important thing to note: Zero-based does NOT mean no money in your account at the end of the month or year. It just means that every dollar of your income is given a ‘job,’ or is accounted for in some way, whether for expenses or for saving. Essentially that means if you earn $4000 a month then everything you spend, save, give or invest should add up to $4000. Only then will you know exactly where your money is going. If you don’t know where your money is going then it’s only a matter of time before an emergency hits and you have to reach for credit cards (or more credit cards) to get you through it. And if borrowing is no longer an option for you then you could be looking at insolvency. Either way, the stress caused by both options is something you want to avoid at all cost. 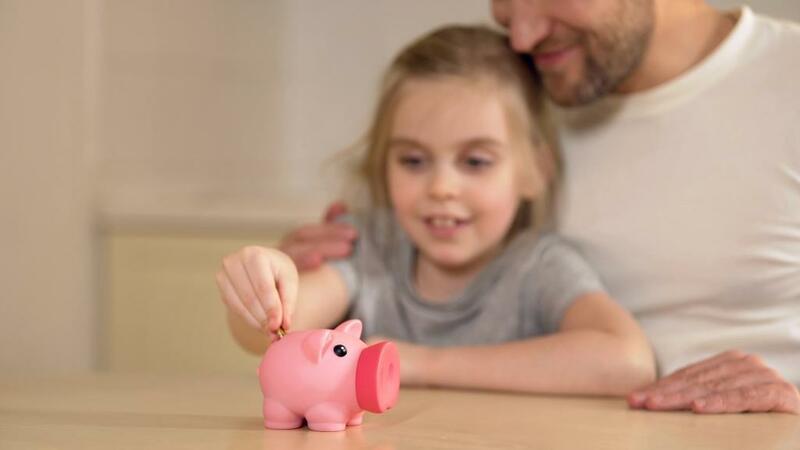 Teach your kids to give every dollar of their pocket money a job – spending, saving and giving. The old-fashioned way is just with a sheet of paper, or an excel spreadsheet. Write down your monthly or annual income including all wages, small business income, side-hustles, passive income, child support or cash. Write down your monthly or annual expenses. Start with the top priority and regular predictable expenses (groceries, shelter and utilities, and transport). With the basics covered continue to listing rest of your predictable expenses (basically anything that has a date and an amount attached – Birthdays and Christmas are both regular and predictable). Now add in an amount per month or year for creating an emergency fund. An initial goal of saving $2500 is a good idea (Ramsey suggests $1000 for Americans but I recommend more for Australians). If you are debt free (except for your home) then you need to start building a fund that will provide you 3-6 months of income should you ever need it. Now subtract all of the above from your income. We want this number to be zero. If it doesn’t balance then you just need to go back and either bring one of the numbers up (ie income) or down for particular areas of spending (think coffees out, groceries, alcohol, clothing, travel etc) There are heaps of great ideas here for trimming your expenses. If you fill out every line of your budget and you come out ahead (e.g. you have $100 left over) then you need to assign that $100 a job. If you need to pay down debt that’s a good place for it. If not, increase your savings fund by that amount. Now you’ll need to track expenses and check in monthly with your budget. 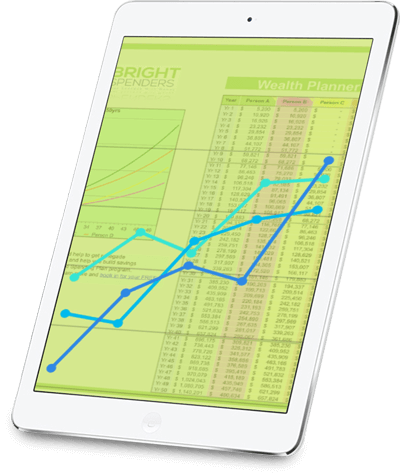 Using a Spending Planner makes it very easy to follow a zero-based budget because everything is programmed into your Spending Planner (your income, all expenses including predictable, unpredictable, seasonal, saving and giving as well as all the exact dates bills are due or the exact transfers you need to make for savings to cover your unpredictable expenses). Then the only thing you need to worry about is checking in once a week for 10 or 20 mins and making sure that your target balances are matching or pretty close to your actual bank balances. You don’t need to keep reinventing the wheel of your budget every month. Once it’s set up you just need to follow it and tweak it occasionally as you’re going along. So basically you’ll work through the above steps while entering it into your Spending Planner, but you’ll also be able to include your debts, and goals for the future all alongside your personal coach who’ll help you design a customised Spending Plan. We help people navigate complex issues they have like unpredictable incomes, paying off debts and working out the best way forwards to create savings. Every person’s situation is different. Everyone person’s capability for managing their money is different. Most people who start a budget and fail do so because they didn’t create an emergency fund. The biggest budget killer is the unanticipated large expense. Car repairs or medical expenses are a great example. If you have no emergency fund then where else are you going to find the money other than reaching for a credit card or loan? That’s why having a rainy day fund is so important. It’s the only way you’ll get out of debt and stay out of debt. It’s the only way that you can confidently put money towards wealth building knowing that you won’t have to rob your investments ever again. Why’s it so important get on a Zero-Based budget? Any budget is better than no budget, but if you really want to be the boss of your money you need to give every dollar of your income a job, so that your budget doesn’t ‘blow out’. Including goals like paying off your debts super fast, saving for a safety net, or for retirement, are absolutely essential if you want to create wealth and live a money-stress-free life. You might think being on a Spending Plan is about restricting your freedom, but it actually allows you to spend guilt-free on the things that really matter while also helping you build wealth at the same time.